Hopes&Fears answers questions with the help of people who know what they are talking about. Today's hot item: do bugs scream? It happens to everyone. You might be walking back from grabbing a drink at your favorite neighborhood watering hole, strolling through a dense forest, or even merely getting up in the middle of the night to use the bathroom when you hear that squishy sound. An ant, a cockroach, a beetle, a centipede, or whatever it used to be, is stuck to the bottom of your foot. Did the bug feel pain when it exploded? Did it feel fear? Did it even have time to be scared? If it had time, would it have done something or said something to any of its bug buddies? Do bugs actually scream? 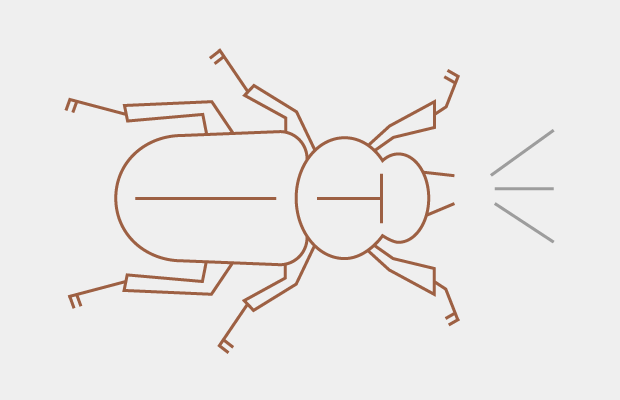 To find out, we asked some entomologists. Very broadly, we can imagine mammals as emotive. Insects are in a different realm. Sometimes people try and make a distinction between sentient and nonsentient beings. Other mammals perceive the environment much the way we do - which is essentially the basis for the argument for animal rights. We can argue that raising pigs in closely confined quarters is morally wrong because they’re closer to us. By the same token, plants wouldn’t perceive things the way we do, nor would invertebrates, mollusks, or insects. It’s impossible to prove this irrefutably, but we can safely say that insects don’t perceive horror or fright. Ladybugs aren’t bugs. Pill bugs, or roly polys aren't insects either, but rather isopods. Centipedes are one of the most beneficial common household insects. Their diet consists of roaches, silverfish, termites, and moths. Studies have shown that praying mantises, snails, and crickets have a slower reaction time to harmful stimuli when injected with morphine. Sure they do. Plenty of insects (e.g., stick insects and longhorn beetles) make noises to startle other animals as part of their defensive biology. Many species of beetles make a squeaking sound when threatened. Cicadas make some of the loudest sounds of all insects, which some describe as a song. Nate is right. While their ‘screams’ are not necessarily oral, some common examples are the hiss of the hissing cockroach, flashes of warning colors, etc. Fruit fly larvae display specific behaviors to avoid attacks by predatory wasps which indicate they possess a sensory neuron similar to pain receptors in mammals.